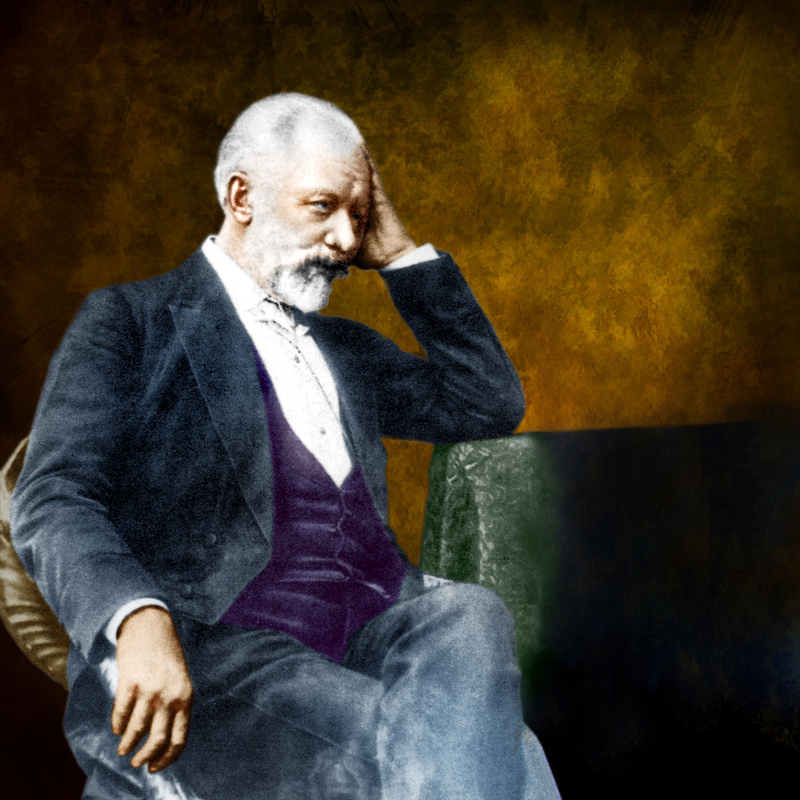 Although Tchaikovsky experienced frustrations with his most famous concertos, the B flat minor for piano and the D major for violin, they both became successful fairly quickly; and today any orchestra can fill a concert hall by programming either one of them. The Violin Concerto was written in spring 1878, in the Swiss resort of Clarens on the shores of Lake Geneva. Tchaikovsky, who was still getting over the trauma of his disastrous marriage, had his young pupil, the violinist Yosif Kotek, with him for solace. They played music together, notably Lalo’s Symphonie espagnole, which influenced the concerto. Kotek also advised on technical aspects of the violin part. The central slow movement was originally the Méditation, later published as the first piece of Souvenir d’un lieu cher, op. 42, but after his brother Modest and Kotek both confirmed his own misgivings, Tchaikovsky replaced it with the Canzonetta. His chosen dedicatee was Leopold Auer, the Hungarian virtuoso and teacher who helped to found the modern Russian violin school – Tchaikovsky wrote such things as the solos in Swan Lake, the Sérénade melancolique and the sextet Souvenir de Florence for this great player’s unique cantilena. The trouble was, Auer felt he should have been consulted about the solo part. He prevaricated and even persuaded a colleague, Émile Sauret, not to play the concerto. Although he did eventually perform it, he did so in his own much-edited version, which became influential because all his pupils used it. Actually Auer put his finger on the concerto’s major flaw, the slight inferiority of the Canzonetta and Rondo to the magnificent Allegro moderato. In 1881 the young Adolph Brodsky took up the concerto and gave the premiere in Vienna, with Hans Richter conducting the Philharmonic. There was only one rehearsal and the reception was mixed – the great critic Eduard Hanslick wrote of music ‘which stinks to the ear’. However, when Brodsky gave the British and Russian premieres the following year, he had great successes, and Tchaikovsky re-dedicated the work to him. 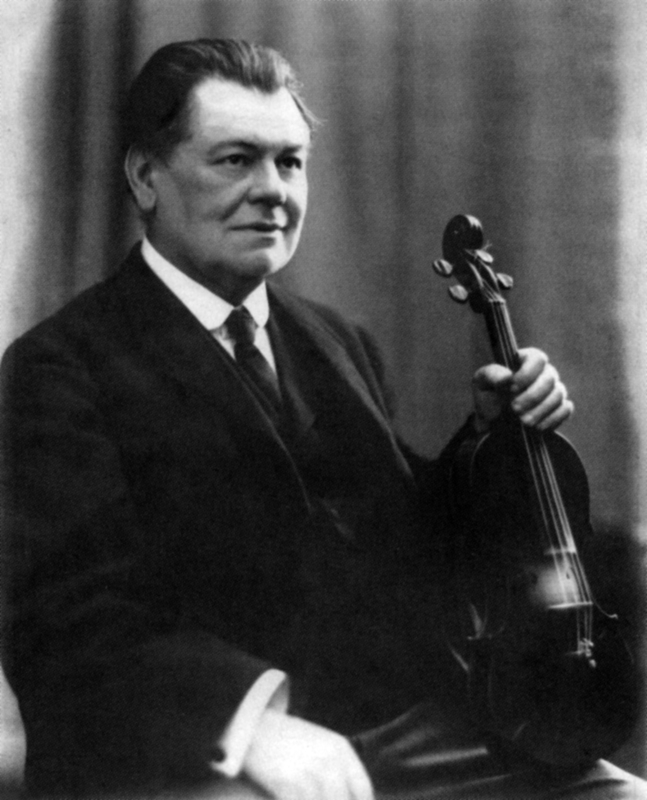 It was the Czech violinist Karel Halír who did most to establish the concerto in the repertoire, giving the German premiere and performing it all over Europe – the composer conducted for him when he introduced it to Prague. In America the doughty Maud Powell paved the way, performing the first movement on April 6, 1888 in Chickering Hall, New York, with Anton Seidel conducting the Metropolitan Opera Orchestra, and the whole work on January 19, 1889 with the New York Symphony under Walter Damrosch. Two fine Stradivari violins were closely associated with the early years of the Tchaikovsky Concerto. No one seems to be sure when Adolph Brodsky acquired the 1702 Strad now known as the ‘Brodsky’, but he certainly used it for his later performances of the concerto: in 1891–94 he led the New York Symphony and on January 6, 1893 he played a much-praised Tchaikovsky with them. From 1895 he led the Hallé Orchestra and the second of his famed quartets, as well as being principal of the Royal Manchester College of Music; press reports of his Manchester appearances mention the Strad, so it appears to have been his main instrument by that time. He also owned the c. 1736 ‘Lafont’ Guarneri ‘del Gesù’ from 1897.
Notable among Brodsky’s Manchester performances of the Tchaikovsky was one on December 4, 1902, conducted by Richter, thus reuniting the soloist and conductor of the world premiere in Vienna, on the 21st anniversary of that event. Karel Halír gave his later performances of the concerto on the 1694–95 Strad now known as the ‘Halír’, which he had from 1897 until his death in 1909. It was lent to him by the Berlin banker Robert von Mendelssohn of the famous musical family, who supplied fine instruments for all the members of the Joachim Quartet – Halír was the group’s second violinist – and occasionally appeared as guest cellist with the quartet. 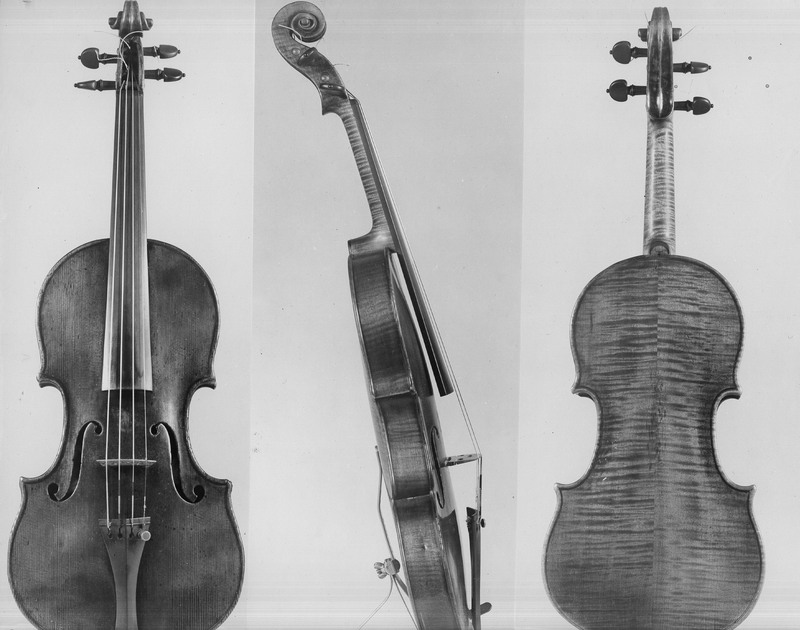 In the 1920s this instrument was lent by Mendelssohn’s widow to Gösta Andreasson of the Busch Quartet, but it was sold in 1932 and was used for some years by Jascha Brodsky of the Curtis Quartet in America. Among the early recordings of the concerto is one of great interest: Tchaikovsky’s Polish pupil Stanislaw Barcewicz, who gave the Polish premiere in Warsaw on January 14, 1892 under the composer’s baton, recorded a cut version of the Canzonetta in 1905 (audio reproduced here, courtesy of Julian Futter). Another Polish violinist, Bronislaw Huberman, made a notable recording of the concerto in 1928, only slightly cut, and the following year Mischa Elman made the first recording of the Auer edition. 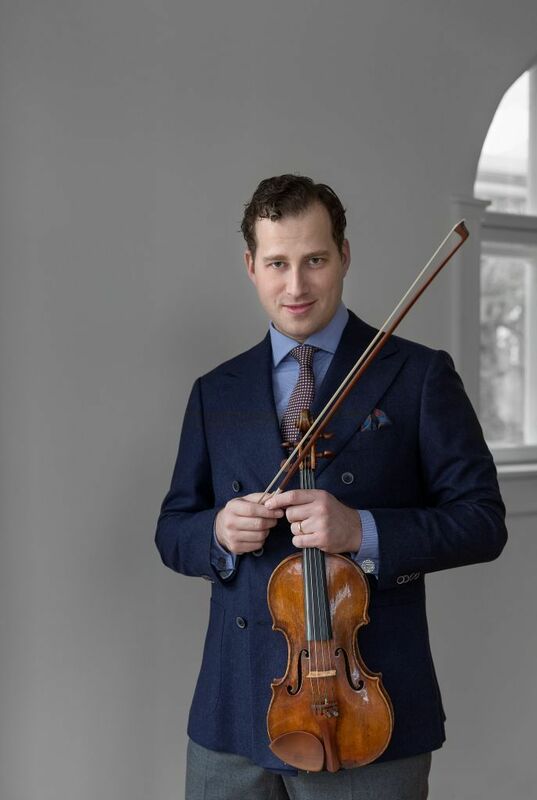 Nikolaj Znaider plays on a violin known as the ‘Hart, Kreisler’ Guarneri ‘del Gesù’ of 1734, on loan from the Danish Royal Theater, and will be performing the Tchaikovsky Concerto with the LSO on May 12, 2015. Here he talks about his violin and his relationship with the Tchaikovsky. The violin enables me. The sound that I have in my inner ear and the task of trying to realize that sound isn’t inhibited by the violin, it’s inspired by it. You know when a violin really works for you, when it adds aspects of sounds that you weren’t even able to imagine. That’s the whole concept of sound. You should have sound inside your head and you should try and bring it from the metaphysical to the real world, and in that process we are limited – by our own abilities, surroundings, instruments – and this violin creates no limits for me. The Tchaikovsky Concerto is a piece that has accompanied me since I was very young. It’s one of those pieces I grew up listening to, so it’s just part of me. I don’t agree with the criticism of the last two movements being so much weaker than the first. It’s fairly standard for concertos to have this structure, with a sonata form, larger first movement, a lyrical second movement and rondo third; it’s the case with Sibelius, Brahms, Beethoven. Auer complained it was ‘impossible to play’ – perhaps this was true for him or other violinists of the time. I think by now we have proved this is not the case. I love to be inspired by people’s recordings. I think this is one of the big disasters of today, that people do not explore more old recordings. Everyone complains that violinists sound the same today, and the problem is we listen to nothing. Not my generation so much – I’m now old enough to talk about the younger generation. When you speak to them, you realize they don’t listen to anything recorded before 1980, and yet there’s a whole treasure trove of sound that needs to inspire us. There are wonderful recordings of the Tchaikovsky by Huberman, Heifetz and Milstein whose recordings from the 1930s are a sensation.